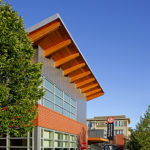 The Admissions & Alumni Building is Seattle University’s campus entry building and the University’s symbolic and actual front door. 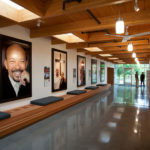 Within 11,360 square feet, the building houses undergraduate and graduate admissions offices, alumni relations offices, two art galleries, several meeting rooms, and a large meeting hall designed to be the University’s living room. 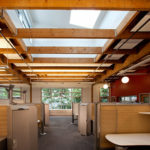 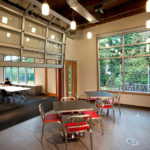 The project creates a forward-looking professional environment that supports workplace productivity and effectiveness, creates a genuine University connection to the neighborhood, and strengthens the Seattle University campus experience. 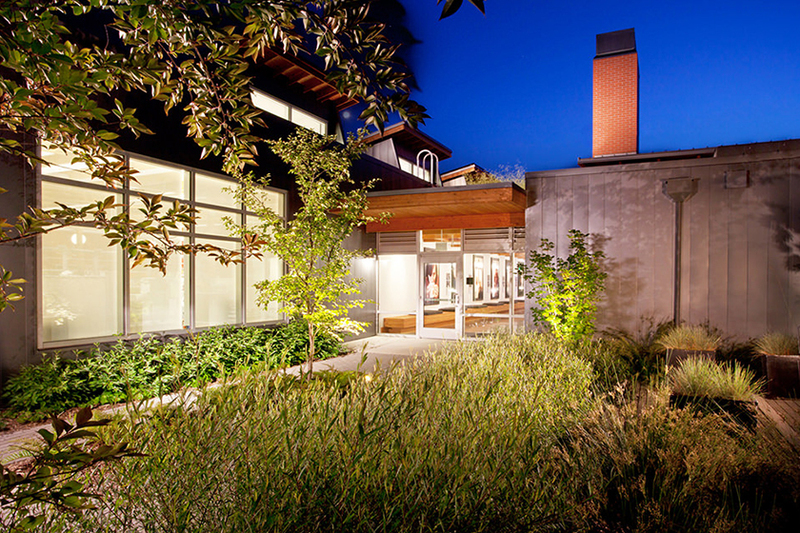 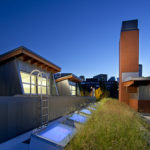 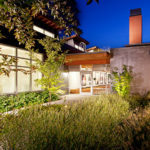 An addition and full remodel to a 1970s warehouse structure, this sustainable building incorporates extensive daylighting, raised floor mechanical and technology distribution, low VOC finishes, rainwater collection and irrigation, verdant low-impact landscaping, and rooftop gardens and photovoltaic panels. 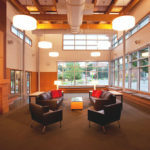 The project achieved a LEED Gold rating from the United States Green Building Council.